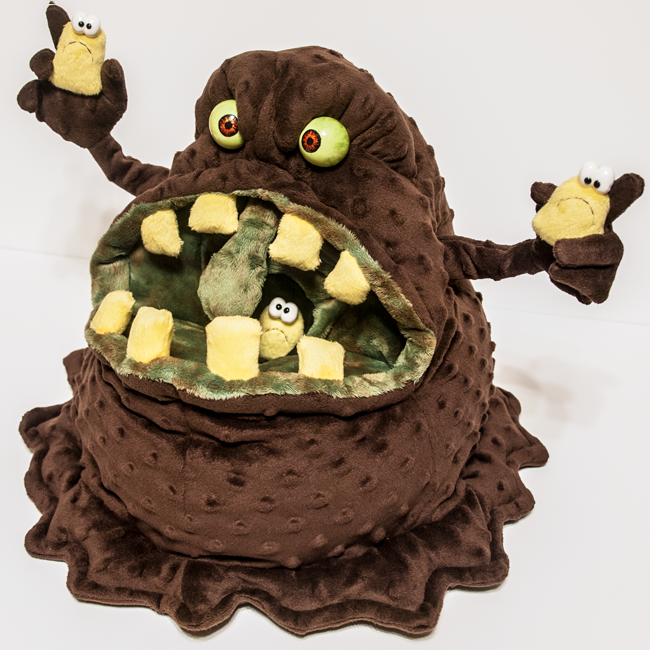 Materials: Minky, polymer clay, acrylic paint, fabric ink, wire armature for arms. 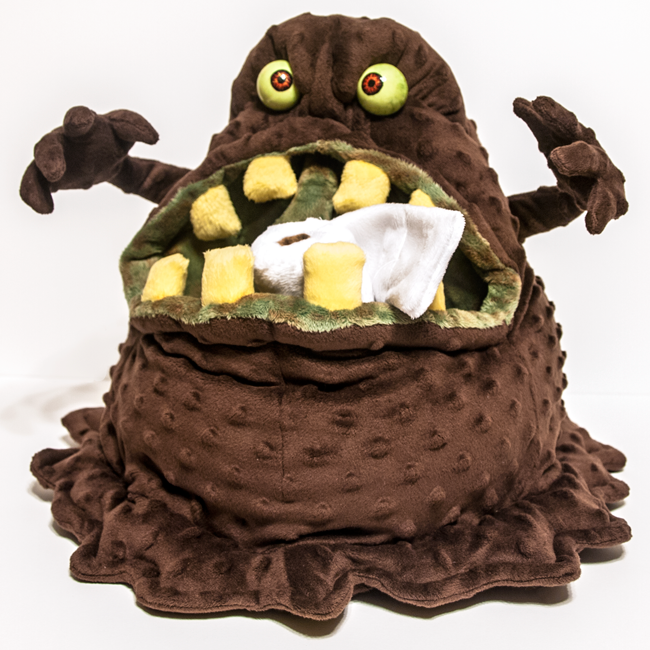 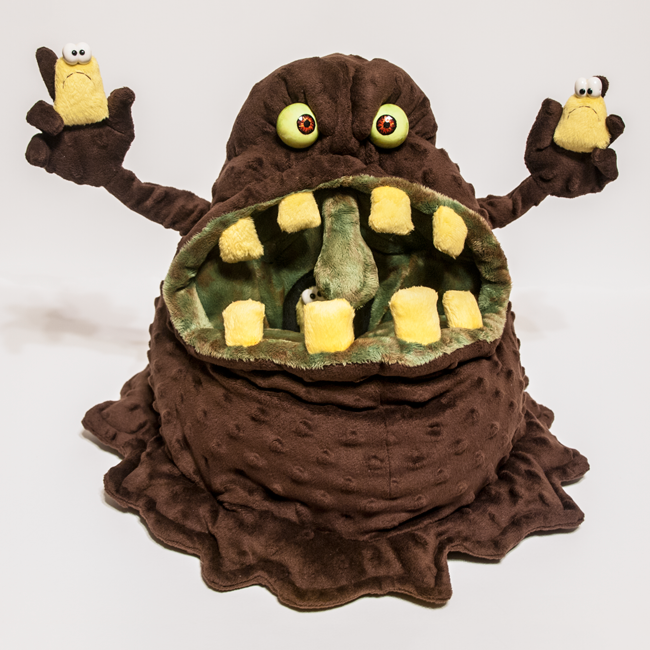 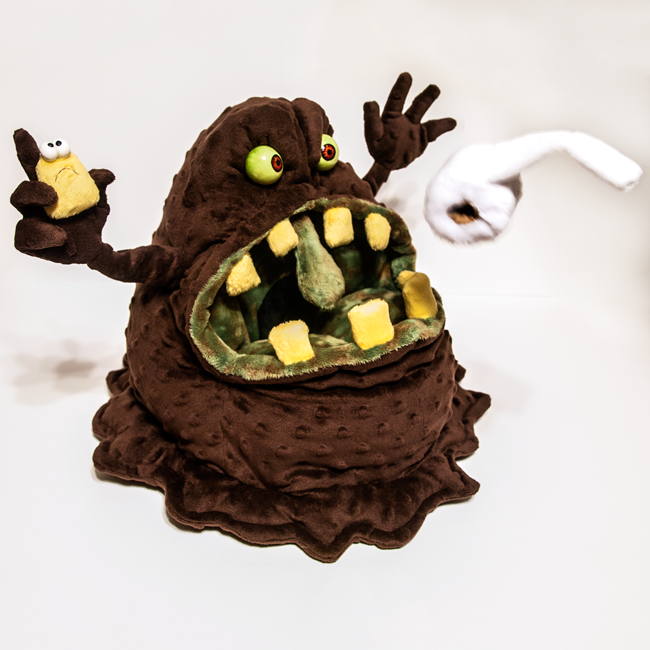 A plushie based on one of the most odd and memorable villains in all of gaming history, The Great Mighty Poo, a disgusting, greedy pile of poop (literally) with a glorious operetic voice. 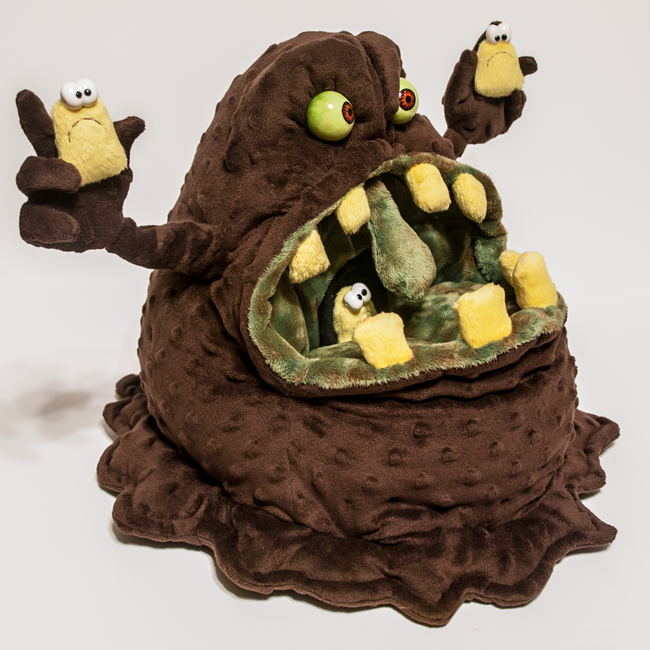 I have always been a big fan of Rareware and their crazy characters, and had a lot of fun with this unique plush. 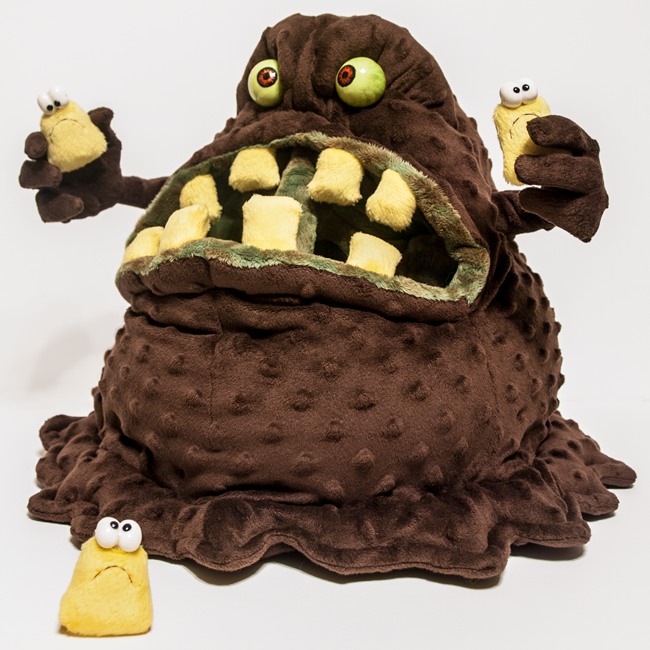 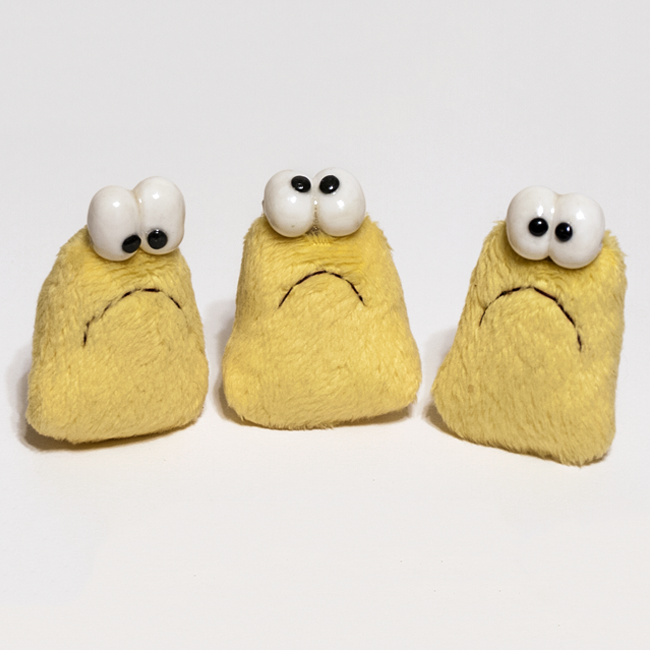 The plushie is made from bumpy minky for a soft, cuddly touch and bubbly look. 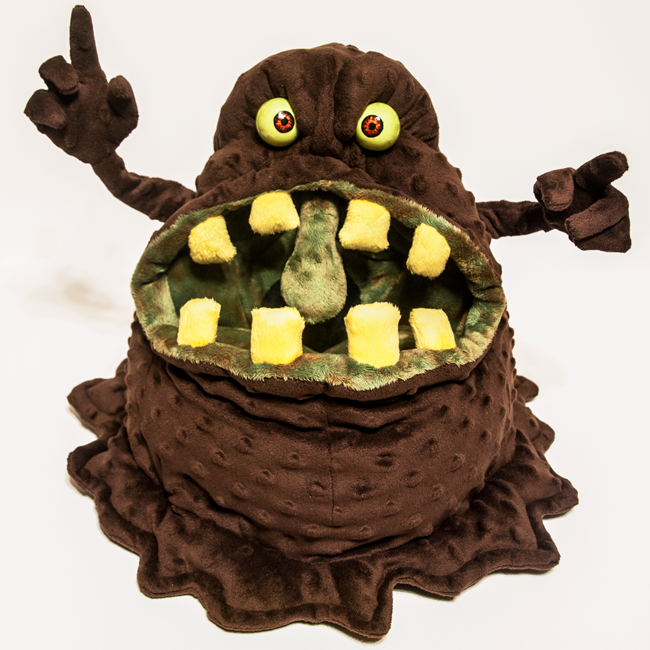 Filled with high quality stuffing and a light wire/fleece armature so his hands and arms are poseable. 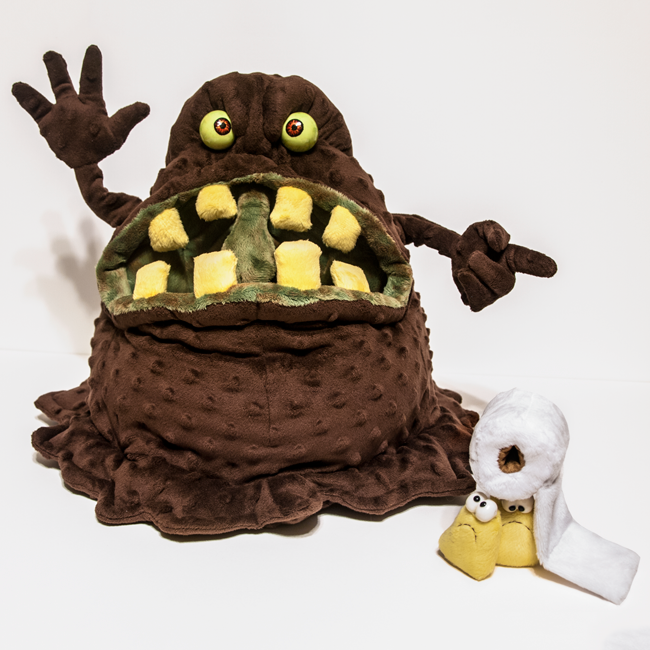 His eyes are hand sculpted from polymer clay, hand painted with acrylic paints, and sealed with an acrylic clear coat to provide the dramatic, lively eyes that are so iconic to Rare's characters.